As many of our readers may have noticed, this issue of The Hullabaloo tackles the theme of drinking on and off our campus. The Arcade section reviews popular Uptown bars and highlights Tulane After Dark, an event aimed at engaging sober students. Intersections sheds light on the ways in which Tulane’s party culture can often exclude students of color and LGBTQ+ students. Views covers the roles students and the administration must play in curbing the dangers of binge drinking, and Sports reports on how Tulane’s party culture affects athletics recruiting and game attendance. This themed issue of The Hullabaloo comes shortly after The Princeton Review released its “Party Schools” list, ranking Tulane at No. 1. But our staff also recognizes that the trends and ideas discussed in the above-mentioned articles did not begin when the latest ranking came out, and they will not end if another school takes our place at No. 1 next year. We also acknowledge that the party culture at Tulane is a multi-faceted subject. 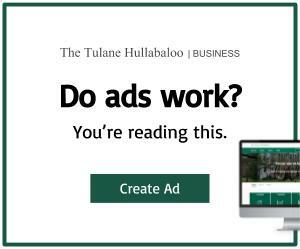 By covering it through different lenses in all five of our content sections, we hope to tell holistically the story of how Tulane came to be The Princeton Review’s No. 1 Party School in the nation. Our objective in embarking on this themed issue is not to demonize or to glorify the “work hard, play hard” mentality that President Fitts deemed Tulane’s “unofficial motto” in his email to students Sept.18. We only seek to serve as observers, to tell the stories of those students and community members who are responding to these phenomena in myriad ways and to best serve our readership by keeping our fellow Tulanians well-informed. Regardless of whether or not you feel represented in Tulane’s party culture, we hope we have created a body of work this week that has, in some way, encompassed your experiences and perspectives. 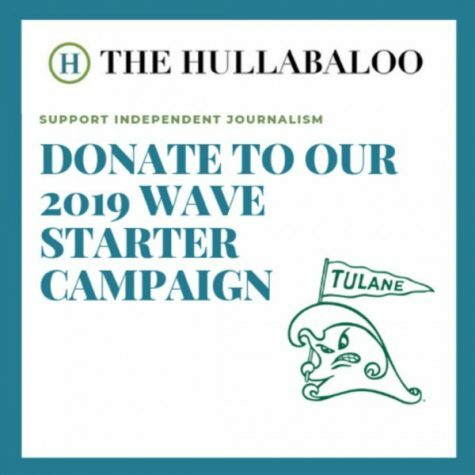 In true Hullabaloo spirit, we hope to have lived up to our promise to act as the eyes and ears of the Tulane community and to have given honest treatment to an issue so pertinent to the Tulane community. Any comments from students who choose not to drink ,do drugs or go to the bar scenes ,aND how do they feel with having to live with all this going on in the dorms that they live in? Does the hall mentors report any room parties they know of where drugs and alcohol are being used to Tulane police ? I am curious on how these poor students feel also being a minority on campus being quietly overlooked.after all students are suppose to be there to learn ,it is not a right to underage drink,or use of drugs .save money and stay home if that is what they are there for. I bet there is a list of students waiting to get an opportunity to get accepted there,for the right reasons.